With Carl Albert State College (CASC) fall semester final tests scheduled for the week of Dec. 11, CASC has set aside a “study holiday” for students on Dec. 7 and 8. The CASC campuses at both Poteau and Sallisaw will remain open and offices fully staffed on the study holiday dates. The drive-through will be open from 6:30 to 8:30 p.m. Dec. 1, 2 and 3. It is free. On Sunday, Dec. 3, a hot breakfast will be served at the church from 8:30 to 9:30 a.m. and Sunday School will be from 9:45 to 10:45 a.m. The Sunday service is from 10:45 a.m. to noon. Cooking with Fire: Dutch Oven Workshop, or how to cook over an open fire with a Dutch oven, will be taught at 10 a.m. Saturday at the Sequoyah County Fairgrounds. The workshop will be taught by 4-H members and volunteers, and April Cole, FCS/4-H Youth Development agent at the Oklahoma Cooperative Extension service in Sallisaw. For more information contact the extension officer at 918-775-4838. 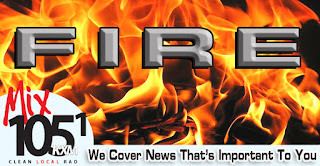 Two fires in the county over the past week left two families homeless, Muldrow Fire Chief Allen Faulkner reported. A single mother and her seven-year-old son lost their rented mobile home in Muldrow at about 5 a.m. Monday. No one was injured in the blaze, Faulkner said. The mother and child were put in touch with the American Red Cross for assistance. The fire was contained in a back bathroom, and the rest of the home suffered smoke damage, Faulkner said. The cause of the fire is undetermined he said. Muldrow firefighters were on the scene about 45 minutes, Faulkner said, and were able to contain the fire quickly because a fire hydrant was located at the front of the mobile home. Muldrow firefighters also assisted Central Volunteer Fire Department on another fire before Thanksgiving when a family lost everything. 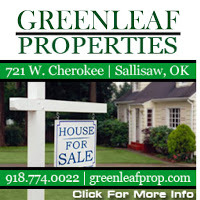 The home was located south of U.S. Highway 64 and east of Sallisaw. 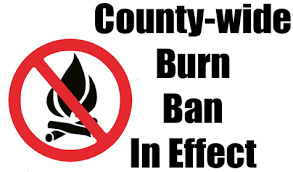 Because of the windy and dry conditions, Sequoyah County Commissioners issued a ban against outdoor burning on Wednesday. They will review the ban at their regular meeting on Monday morning. A Cans 4 Tans food drive is underway at the BodyWorks Spa and Salon in Sallisaw. The spa, in exchange for donations of canned goods, is offering discounts on the spa’s many services. 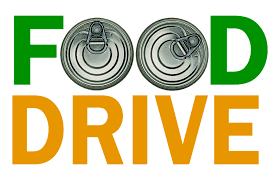 The donation of three cans of food will get the donor $3 off an eyebrow wax. The donation of 20 canned goods will result in $25 off a bottle of lotion. Other discounted services include tanning, red-light therapy, spray tans, body wraps and haircuts. The canned goods will be given to the Catholic Charities Helping Center in Sallisaw for their Christmas food baskets. MaryLynn Lufkin, standing, has been promoted to director of the Catholic Charity Helping Centers in eastern Oklahoma. Becky Ritchie, seated, is the new director of The Helping Center in Sallisaw. To ask for help or to give help call the center at 918-775-6111. Tis the Season for Giving, and two area angels will direct givers in the right direction when asked. They are Becky Ritchie and MaryLynn Lufkin. Ritchie, of Muldrow, took over as director of the Catholic Charities Helping Center in Sallisaw on Sept. 19. She accepted the post from Lufkin, who was promoted to director of Catholic Charities Eastern Oklahoma Outreach, which includes all the Helping Centers in eastern Oklahoma. They are in Tulsa, McAlester, Poteau, Muskogee and Sallisaw. Lufkin served as director of Sallisaw’s Helping Center for 20 years, since 1997. She is positive about the center’s purpose. “This is for the poor,” she emphasized. Lufkin says the Helping Center is a special place. That particular person turned out to be Ritchie. Ritchie is retired from the Fort Smith School System. When she decided she wanted to be a volunteer, she donated her time to the Helping Center. The volunteer position was to be for 20 hours a week. It didn’t work out that way. Lufkin laughed when she related how Ritchie got the director’s job. Lufkin said she was overwhelmed with duties one day last summer, and at one point had to take a homeless person’s dog to the veterinarian so a landlord would let him move in. Ritchie was the one who stepped in to help. Lufkin said the idea came to her as she, Ritchie and the dog drove to the vet’s office. The Helping Center needed Ritchie as director. “She has been a God-send,” Lufkin said. “You can’t teach spirituality. It has to be in your heart…to serve the needs of the poor. Ritchie admits the job isn’t easy, but it has benefits. “It’s a good job,” she said. “It’s very fulfilling. You feel good going home at the end of the day. 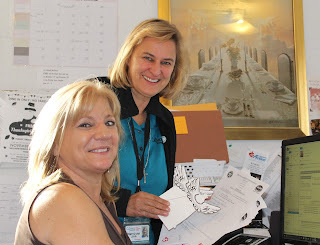 As the center’s director she does case management, makes sure that those in need have food, clothing and housing, then she must record all the information about the assistance provided. In addition to being in charge of all the center’s operations, Ritchie must also oversee the volunteers. In the middle of the interview she had to leave to help a woman, who had a small child, and who was a burn-out victim from Muldrow. Lufkin’s duties as director of all Catholic Charities efforts in eastern Oklahoma is much the same, just magnified five or more times. In addition to overseeing the five rural Helping Centers, Lufkin said they are trying to expand into rural areas, such as Talihina, Idabel, Clayton, Hugo and Antlers. “We want to expand to monthly food drops,” she said about providing food for those depressed areas. Plan: Create an emergency plan and make sure everyone in the house knows it. Prepare: Be prepared by having an emergency kit in the home and car. Right now both Lufkin and Ritchie are working on holiday preparations. During the interview they were preparing information on the 338 young angels who will be receiving Christmas gifts. They are also working on preparing 175 Christmas dinner baskets for those who cannot afford a turkey or a ham for dinner on Christmas day. And as winter looms, Lufkin and Ritchie said the center always needs heaters, blankets and winter coats. “We get five or six requests a day for blankets,” Lufkin said. The Helping Center has one other small project that was prompted by an older man who had no money to buy his wife a Christmas gift. He stopped by the center several years ago to see what he could find. He found a new candleholder, with candle. Lufkin believes it was perhaps a gift to someone who had no need for it, and donated it to the center. “He came up to me and said, ‘I just want to thank you. I had no gift.’ He convinced me it was worth the effort to gather donations of new items and put them on a gift table so the adults could choose just one gift,” Lufkin said. The Helping Center will gladly take all new and unused gifts as donations for those who have none, and put them on the center’s gift table. “Just look in the back of your closet where you threw that gift you knew you would never use,” Lufkin urged. That forgotten gift could make someone’s Christmas very happy. Want to help or need help? All you have to do is call The Helping Center at 918-775-6111. 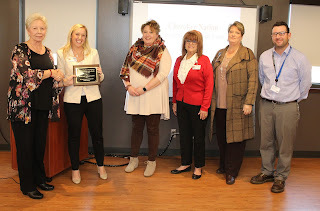 The Sallisaw Health and Wellness Center was named the Sallisaw Chamber of Commerce Member of the Month for November at the chamber’s membership luncheon on Wednesday. Chamber President Cheryl Mills, left, presented the award. Accepting, from Mill’s left, are Brooke Lattimore, the center’s chief operating officer; Roxanne Brewer, director of nursing; Connie Olcott, marketing director; Teresa Noah, quality coordinator; and Dave Martin, Human Resources Director. The luncheon was held at the Redbird Smith Health Center in Sallisaw. Chuck Hoskin Jr., Cherokee Nation Secretary of State, was the guest speaker at the Sallisaw Chamber of Commerce Membership Luncheon held Wednesday at the Redbird Smith Health Center in Sallisaw. Hoskin reviewed the economic impact the nation has on Sequoyah County. -Over $152,134,970 spent in Sequoyah County. -$49,809,218 in income for county residents. -825 jobs in a county with 14,847 Cherokee residents. -Roads and water: $4.3 million spent on county roads in the past four years and 76 water and sanitation projects supported or assisted. -Public Education: Over $4 million given to Sequoyah County schools, and $430,179 in 2017 alone. -Housing: 83 new homes built in Sequoyah County, and 1,185 families assisted with affordable housing. -Health Services: 131,977 patient visits for medical care at the health center; 2,778 patient visits for eye care; and 8,056 patients seen for dental care. -Career Services: “We help people,” find jobs and careers, Hoskin said. -Sequoyah’s Cabin: The historic site now managed by the Cherokee Nation after the state had to give up the site due to financial constraints. Hoskin praised Sequoyah who developed the Cherokee syllabary. Hoskin said today it is a partnership between the Cherokee Nation and all others in the nation’s 14 county area which results in success. Chamber President Cheryl Mills reminded members that storefront decorating entries are due by Dec. 8; the Shop Sallisaw Giveaway is Dec. 9 at the Stanley Tubbs Memorial Library in downtown Sallisaw; and the Christmas parade starts at 6 p.m. Dec .9. The next membership luncheon is Dec. 13. 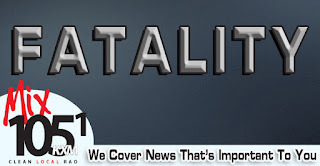 A 64-year-old truck driver from Kentucky was killed in a one-vehicle crash early Wednesday on Interstate 40, the Oklahoma Highway Patrol (OHP) reported. The OHP reported the crash occurred at about 7:53 a.m. at mile marker 306, about half mile west of Sallisaw. 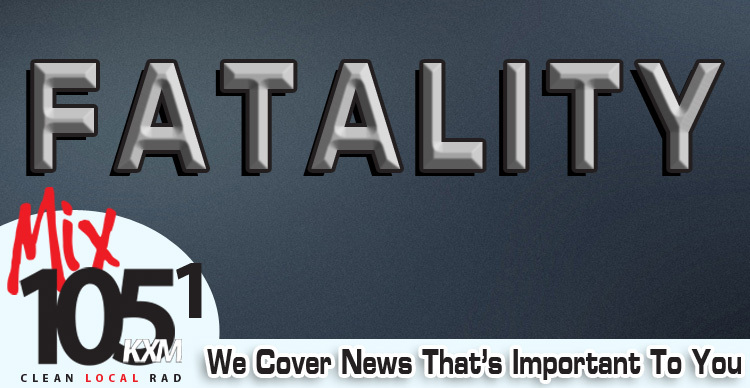 Kim Belanger from Hazard, Ky., was pronounced dead at the scene due to internal trunk injuries. The body was transported to Agents Funeral Home in Sallisaw at the request of the medical examiner’s office. The OHP reported Belanger was driving a 2017 Freightliner west on I40 when the truck left the road for 478 feet, and struck several trees. After impact the vehicle cab overturned one quarter time before coming to rest. The OHP reported the cause of the crash is believed to have been a medical condition. reaching for the shopping cart. 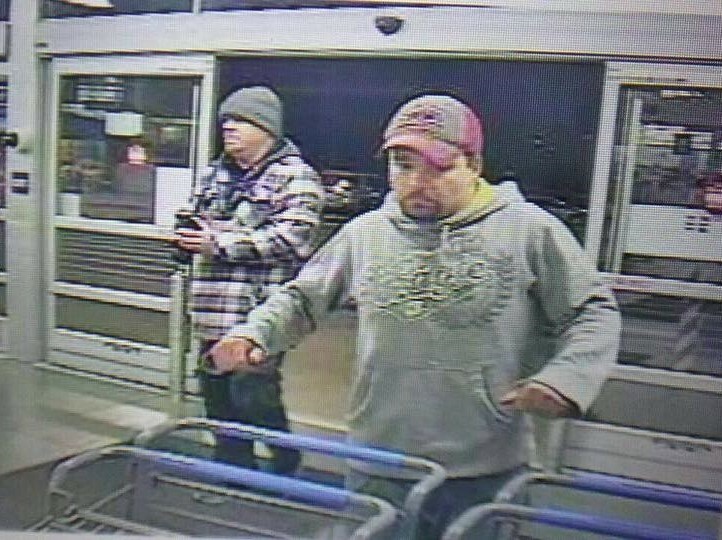 Sallisaw Police are requesting assistance identifying two male subjects in reference to a report of a theft from Walmart in Sallisaw. 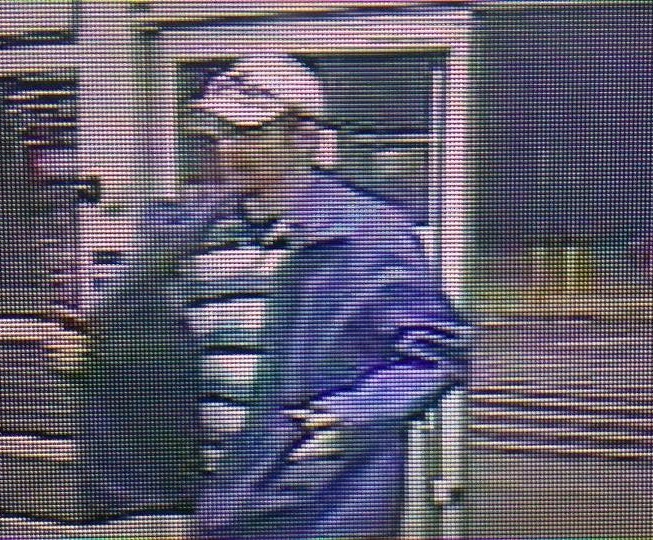 Anyone with information may contact the police department at 918-775-4175 and ask to speak to the Detective Division. It was reported the thieves were able to escape Monday evening with about $2,000 in merchandise from the Sallisaw Walmart, by simply walking out the door and jumping into a copper-colored, compact car. 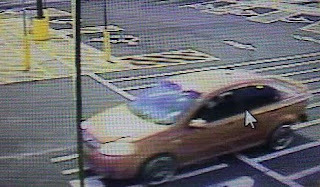 The detectives ask that no information be posted on the public Facebook page. 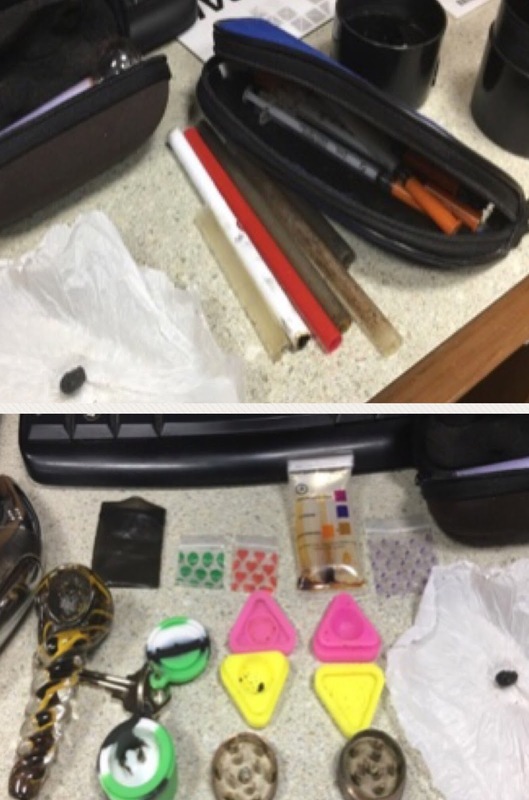 Some of the drugs and paraphernalia found during stop. Sequoyah County Sheriff Larry Lane reported Tuesday that two suspects were arrested Nov. 25 in the Lake Tenkiller area and now face drug-related charges. 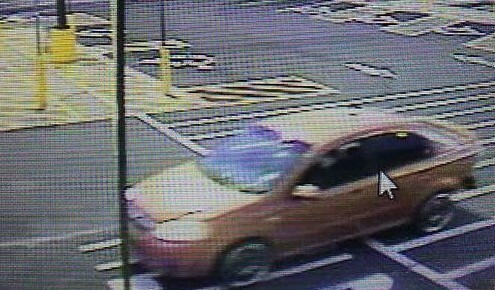 The suspects are Taylor Carney, 30, of Broken Arrow and Adria Davis, 24, of Tulsa. They were both booked into the Sequoyah County Jail, Sallisaw, on charges of possession of a controlled dangerous substance (CDS), heroin, with intent to distribute, possession of CDS, methamphetamine, with intent, possession of CDS, marijuana, with intent, possession of drug paraphernalia, and bringing contraband into a jail. 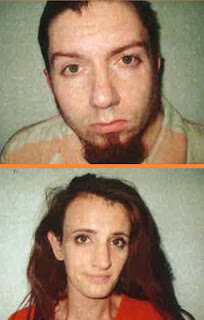 Both suspects are being held without bond. Lane reported Deputy Jason Stone, on Nov. 25, saw a vehicle make an illegal u-turn then drive over the center line on State Highway 82. Stone stopped the vehicle on Hwy. 82 six miles north of Vian. 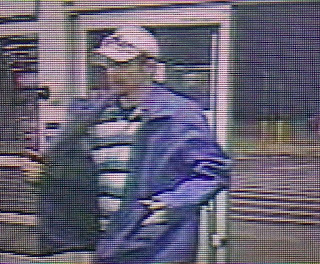 During the traffic stop, Stone noted extreme nervousness, inconsistent stories and erratic behavior by the two occupants of the vehicle. He was given consent to search the vehicle and found heroin, methamphetamine and marijuana, syringes, smoking pipes and digital scales along with other paraphernalia. Lane said narcotics investigators have been getting information about heroin coming into and being used in Sequoyah County. Sequoyah County Commissioners issued a burn ban on Wednesday due to the dry weather conditions. A small amount of rain fell in some parts of Sequoyah County early Wednesday, but not enough to avoid the ban, said Steve Rutherford, Sequoyah County Emergency Management director. 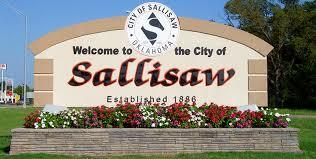 Sallisaw, officially, only received 1/10 of an inch, he said. The ban makes it illegal to burn debris outdoors. Outdoor campfires or bonfires are prohibited. LPG and natural gas grills and charcoal-fired cooking outside in a grilling receptacle are permitted provided that the activity is conducted over a non-flammable surface and at least five feet from flammable vegetation. Coleman-type pressurized stoves are exempt. 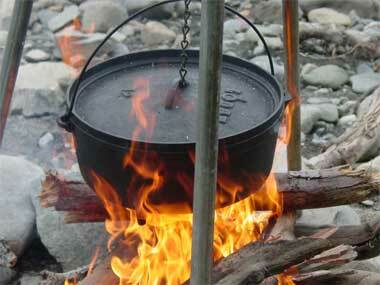 However, any fire resulting from grilling or the use of one of these cookers or stoves is still an illegal fire. 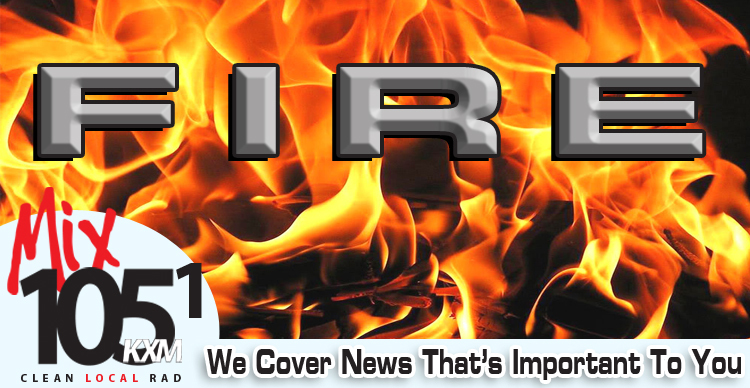 Rutherford said the burn ban was issued for seven days, and will be reviewed by the county commissioners at their regular meeting on Monday. 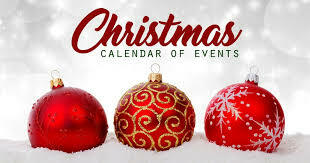 The Christmas holidays have arrived, along with many activities to celebrate. Following is a list of area activities open to the public. -Dec. 1: Marble City's Little Miss and Little Mister Marble City contests will be held at 7:15 p.m. at the town hall. Sign up is at 6 p.m. The contest is for three age groups--pre-kindergarten and kindergarten, first through fourth grade and fifth through eighth grade. Winners will receive Christmas stockings and gift certificates, and will ride in the town Christmas Parade on Dec. 9. In the contest, children will be asked questions about Christmas. For information call the town hall at 918-775-3002 between 8 a.m. and 4 p.m. Monday through Wednesday. -Dec. 7: The Roland Chamber of Commerce is bringing back the Christmas tree decorating contest for Roland businesses at Roland Park. Voting, with food items listed, will be for Roland Christmas baskets, and will be at the Christmas tree lighting on Dec. 7. Winner of the contest will receive a traveling trophy to display in their business and $100 in free newspaper advertising. To enter your business stop by and see Dave Richards or Libby Moore at Firstar Bank or Tiffany Mitchell at First National Bank. -Dec. 7: Vian Lions Christmas Parade of Lights will have the theme “A Storybook Christmas,” and will kick off at 6 p.m. Lineup will be at 5:30 p.m. in front of Vian Baptist Church, and judging will be at 5:45 p.m.. Santa Claus will visit with children at the city park and give away goodie bags after the parade. The event is sponsored by the Vian Lions Club, which will award cash prizes to floats. First place gets $100, honorable mention gets $50, and category winners get $50. In the School Club category, first place gets $100, second gets $75, and third gets $50. Entry forms are available at Armstrong Bank in Vian, the Vian Tenkiller News office and T.S. Phillips Investments Inc., next to Subway. Return the completed form to the same businesses or mail to Joe Haraway, Vian Lions Club president, at P.O. Box 260, Vian, Okla. 74962. -Dec. 8, 9 and 10: Tour of Christmas at Eastside Freewill Baptist Church in Muldrow. The tour is free and is on property owned by the church at the Muldrow Interstate 40 exit. 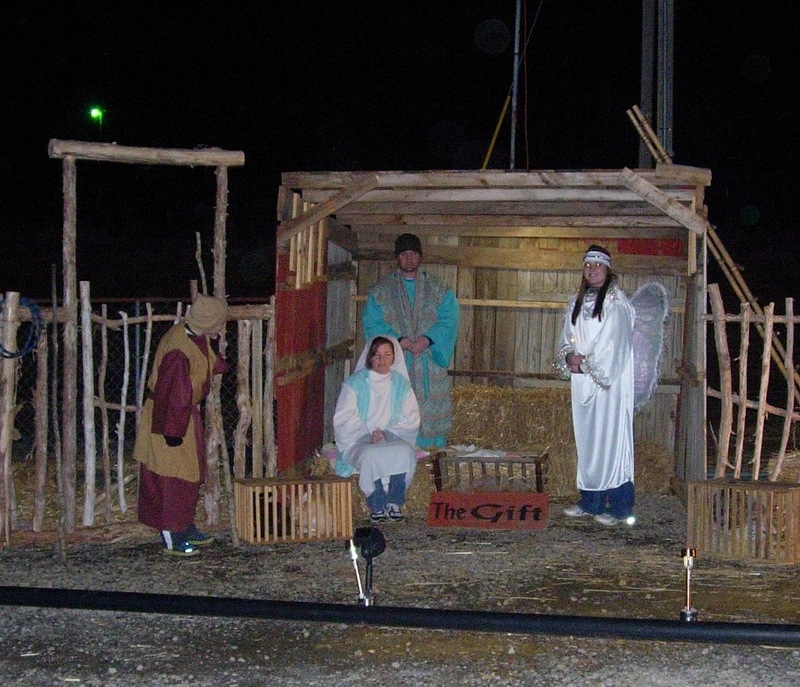 Spectators enter the building, which has been decorated to resemble Bethlehem, where they will be served cookies and hot chocolate. They then join a hayride through the story of Christmas, told by narrators. The tour goes through 10 scenes. The tours run from 6:30 to 8:30 p.m. each evening. -Dec. 9: The Muldrow Christmas parade starts at 4:30 p.m. at the east end of town and will proceed to the Muldrow City Park entrance. -Dec. 9: The annual Roland Christmas Parade, sponsored by the Roland Chamber of Commerce, has the theme “Santa’s Workshop,” this year. Cash prizes will be awarded. Lineup will be at 11:30 a.m. and the parade starts at noon. Entry forms are available now at Firstar Bank in Roland (103 Ray Fine Blvd. ), or send a message through the Roland Chamber Facebook page and an entry form will be emailed back. All parade entries must have a registration form on file with the chamber of commerce, regardless of whether it is a float or some other type of entry. -Dec. 9: Marble City Christmas Parade. Lineup is at 1 p.m. and the parade begins at 2 p.m. There is no theme other than Christmas and no prizes. Santa Claus will be present and lots of candy is expected to be given away. -Dec. 9: The Webbers Falls Christmas Parade will begin at 10 a.m. Dec. 9. This year’s parade as the theme “A Child’s Christmas,” and is held in conjunction with the Gore parade. Webbers Falls continues their Christmas Lighting Display, which will be in the Webbers Falls Little Park at the intersection of U.S. Highways 100 and 64. -Dec. 9: Gore Christmas Parade will begin at 11 a.m. Lineup is between 10:15 and 10:30 a.m. Santa Claus will visit with children following the parade. 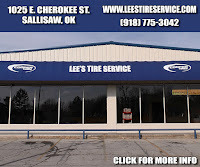 -Dec. 9: Shop Sallisaw Giveaway cash prizes will be awarded at noon at Stanley Tubbs Memorial Library in downtown Sallisaw. Winners must be present and have their tickets in hand. 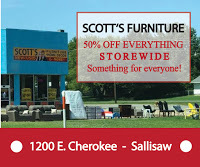 For more information contact the Sallisaw Chamber of Commerce office at 918-775-2558. -Dec. 9: Sallisaw Christmas Parade lineup is at 5:30 p.m. on Choctaw Street and the parade begins at 6 p.m. “A Storybook Christmas” is the theme of this year’s parade, sponsored by the Sallisaw Chamber of Commerce. Cash prizes will be awarded to the top three parade entries in each category. Call the chamber at 918-775-2558 for more information. Entry forms are available at the chamber office. 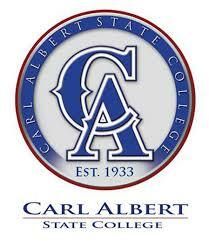 Carl Albert State College (CASC) has been identified as one of the best online community colleges in the nation by Best Value Schools. 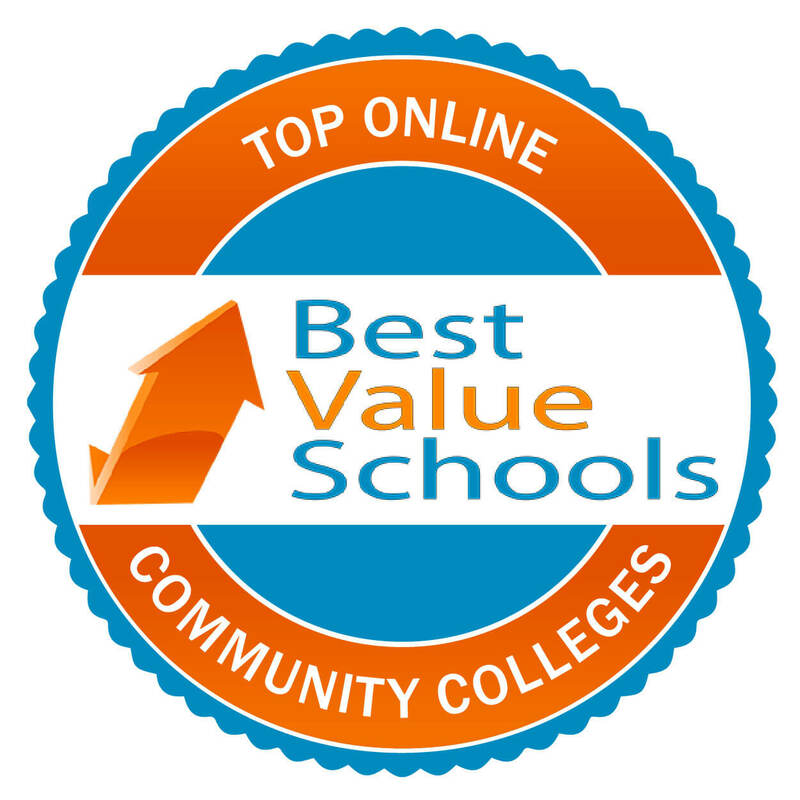 The Best Value Schools ranking includes one community college from each state, and consideration is given to the number of degrees offered, retention rate, graduation rate, and total annual cost. 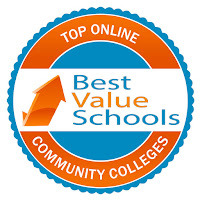 Best Value School’s mission is to help students find the best school to fit their needs. CASC offers courses at campuses in Poteau, Sallisaw, and online. To enroll at CASC, call the Enrollment Management Office at 918-647-1248. 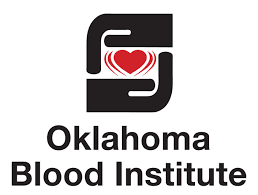 The Oklahoma Blood Institute (OBI) needs generous donors to share the priceless gift of saving lives this holiday season. It’s a busy time, but OBI is encouraging donors to take just one hour to make sure the blood supply for area hospitals stays at levels necessary for live-saving procedures. - Carl Albert State College Viking Room, Sallisaw, Thursday, Nov. 30, from 9 a.m. to 1:30 p.m.
-Walmart, Sallisaw; Friday, Dec. 1, 1:30 to 5:30 p.m.
-Vian Community; Friday, Dec. 1, 1 to 6 p.m. Bloodmobile parked at Marvin’s IGA. Donors also receive health screenings and Donor Rewards points, redeemable at Oklahoma Blood Institute’s online store. One blood donation can save as many as three lives, and the supply must be constantly renewed. If donors opt not to take the t-shirt, OBI will make a monetary donation to Global Blood Fund for blood center assistance in developing countries. 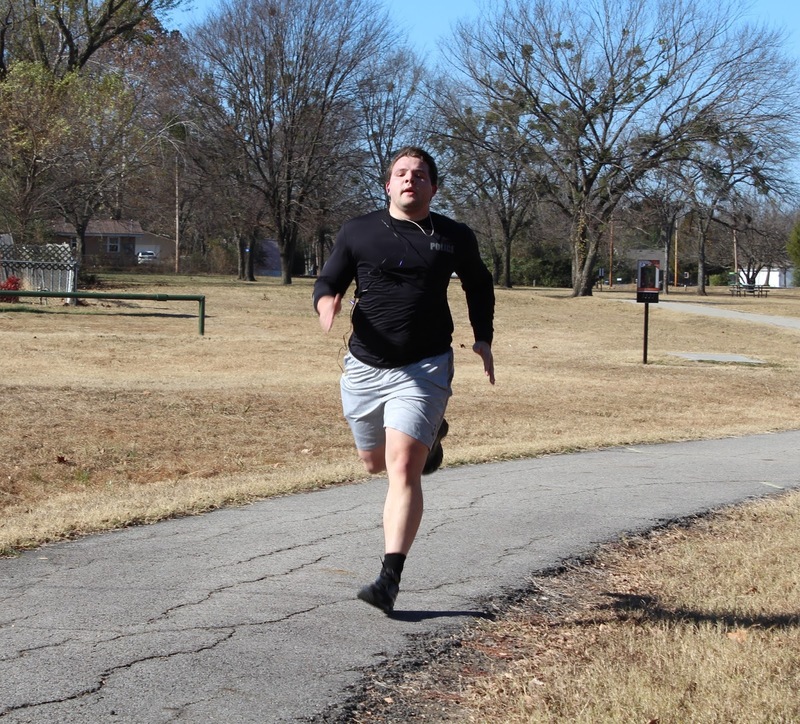 Sallisaw police officers passed their physical fitness tests on Tuesday, Police Chief Terry Franklin reported. 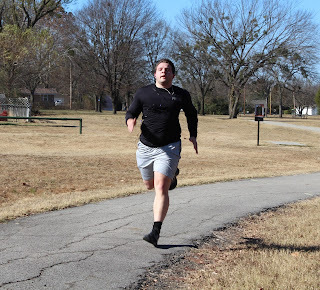 The officers testing on Tuesday were at Jay Reynolds Park in Sallisaw running one and a half miles, or about two and a half times around the park. Franklin said the officers started at 11 a.m. doing situps and pushups, then did the running part of the test. Devin Harriman, above, was just one of several who were testing. Franklin said the tests are held twice a year, and those who could not test on Tuesday will test on Thursday. Sallisaw’s Board of City Commissioners held a short special meeting Monday to fill in the duties required of Mayor Jim Hudgens. Hudgens can no long perform his mayor duties after a temporary injunction was granted against him in district court, on the grounds he was not appointed correctly according to the city charter. The injunction was requested after Hudgens lead the way in the dismissal of City Manager Clayton Lucas. Lucas remains as city manager due to the injunction and Hudgens’ inability to vote. At the meeting Monday, Ward 3 Commissioner Julian Mendiola and Ward 2 Commissioner Ro Poindexter were appointed to represent the city at the settlement conference in the Carpenter vs. the City of Sallisaw case and were authorized for settlement in the same case. City Attorney John Robert Montgomery reported that only the signature of Dianna Davis, city clerk, is required to sign checks, and Mendiola was appointed to sign contracts that normally require the signature of the mayor. According to the city charter, the commissioner on the board the longest may fill in for the mayor when the mayor is unable to attend to duties, and that is Mendiola.